Small 24" x 84"	Medium 30" x 84"	Large 36" x 84"
Trade shows, exhibitions, and other professional events are fantastic opportunities to drive brand awareness and attract new customers and clients. In order to make a winning first impression, it’s important that you use high-quality advertising materials. This attractive custom table runner for trade shows is a simple way to elevate your booth and gain the competitive edge. Order yours online at 777 Sign, trusted leaders of the print fulfillment industry. This surprisingly affordable table runner drapes over the front, top, and back of your 4-foot, 6-foot, or 8-foot table. To customize it with your organization’s name and/or logo. Simply upload your image and we’ll take care of the rest. 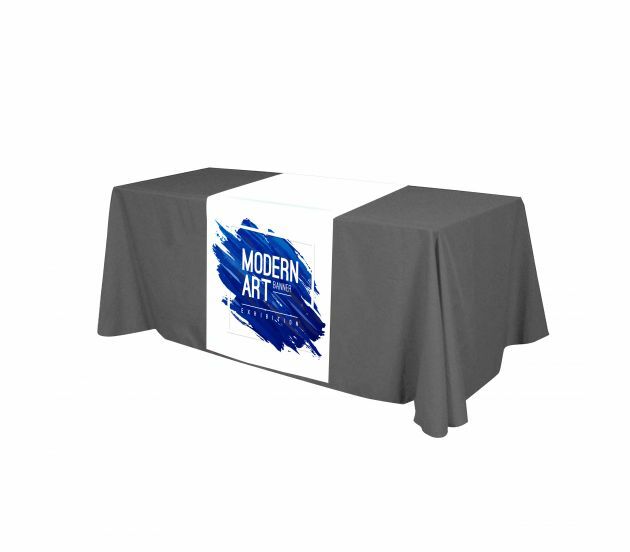 We’re pleased to be able to offer professional digital printing in a stunning 720 x 720 resolution, so that you can order your custom table runner for trade shows with confidence. Our goal is to be your go-to source for high-quality printed advertising products. We proudly offer the fastest turnaround times in the industry—we offer same day printing if you order by noon - PST. Our dedicated customer service team is happy to assist you with your order, so please don’t hesitate to get in touch for any reason. 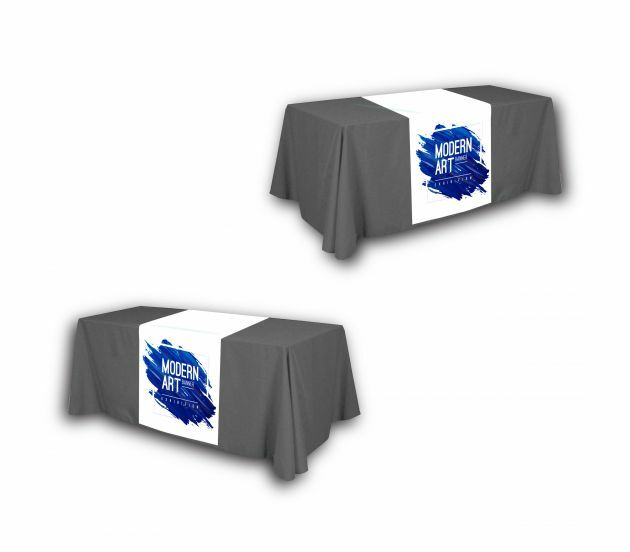 If you’re ready to order a professional custom table runner for trade shows at an affordable rate, simply select your preferred options and place your order with full confidence. To speak with one of our helpful associates, call (702) 754-6360, or email info@777sign.com. Business events can really put your company on the fast track to success, so don’t overlook the details. Order the best table runner for less at 777 Sign.